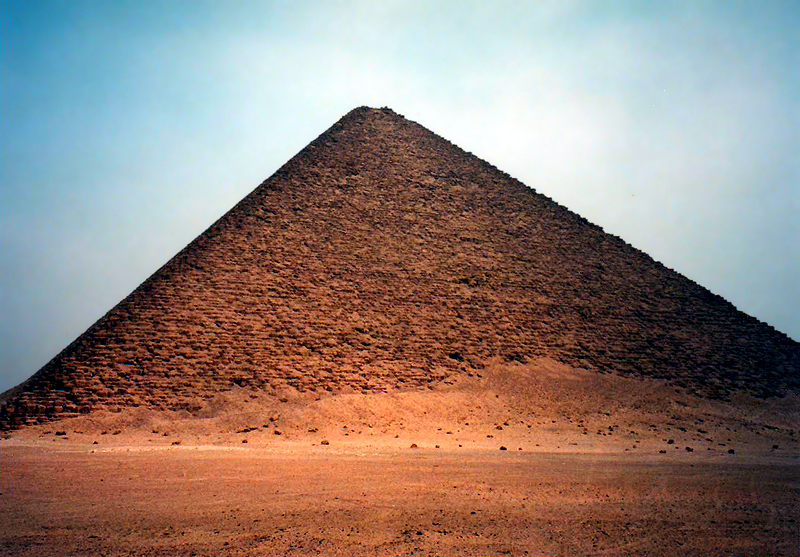 The Red Pyramid is the second of Sneferu's three pyramids (the first is the Collapsed Pyramid at Meidum, and the third is the bent pyramid at Dashur). 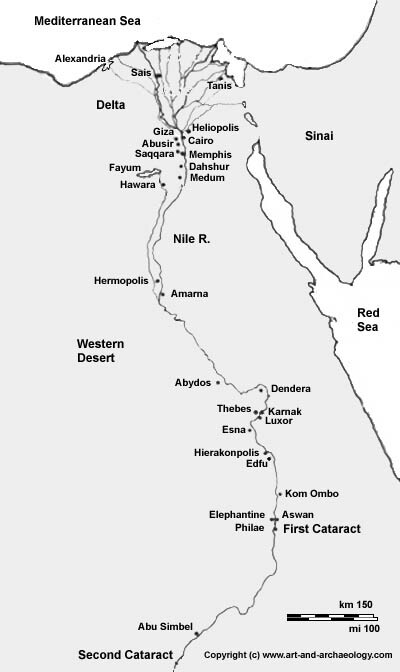 It is located on the west bank of the Nile, south of Saqqara. Considered the first true pyramid in Egypt, its gentle 43° slope is the same as the final slope of the Bent Pyramid  after their earlier problems with the Collapsed Pyramid, the builders were taking no chances with this one. The Red Pyramid has the usual north entrance  it points to the never-setting circumpolar stars, of which Pharaoh was the exemplar  and its pyramidion (capstone) is fortuitously preserved on site. Sneferu, one of the great kings of Egypt, was the founder of the 4th Dynasty who built Egypt up into an international power and consolidated the art and architectural style of the Old Kingdom (examples: Portrait Statue of Ra-Hotep, Medum Geese.) He is the father of Khufu (Cheops), who built the Great Pyramid at Giza. The name "Red Pyramid," like other pyramid names that are used in guidebooks today, is a modern convenience for identification purposes only - it has no historical significance. The Red Pyramid's original name is Xa (the Shining One), in praise of Sneferu who shines in his appearances like the Dawn.